The vast majority of people in Estelle, LA, really have two options when it comes to getting a new car. They can either secure financing or lease their vehicle. However, a lot of customers actually want to own their cars. In those cases, auto loans are best. But how do you know you are getting the best one? Check out these tips for shopping for car loans for your next car, and you will be ready to make a smart purchasing decision in no time. These days, you can find almost all the information you need about auto loans online. Not only can you visit certain dealerships’ websites to see what these businesses offer, but you can also learn about any special pricing they may offer as well. That makes it easy for you to make a decision about where to shop for your auto loan. If you do a thorough search on the internet, you should have an easier time once you actually go to buy the car you’re looking at. You probably know a lot of people in Estelle, LA. The chances are that at least some of them have purchased a vehicle recently. You can ask these people about their experiences, where they bought their cars, and how they secured financing. By getting information from someone who has been in your spot before, you can save yourself a lot of time and energy searching around town for the ideal rates. Of course, you could spend a ton of time looking for the best auto loans around, or you could just go to your local dealership. Most of the time, your dealership will be able to offer you a financing plan that meets your needs. Just talk to the salesperson you’re working with about your budget, and visit the dealership finance center. That way, you can talk to someone who knows exactly what type of loan you need to get the car you want. You know you’re going to get great service when you go with this option. 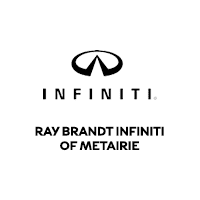 At Ray Brandt INFINITI, we can help you find the auto loans you’ve been looking for. Just come to our dealership and take a look around. Once you find something you love, we’ll help you set up a payment plan that works for your wallet.